Does anyone know if there is a way to export the binary data from the SQLite database for the Zeo Mobile Pro to the .dat file that the Zeo Decoder Viewer will accept? At the moment I'm just exporting the whole db on my android as csv file from time to time and it works pretty well, but it does not contain the detailed sleep graph, only showing as "blob". The blob is just the binary version of the data that is already there in the other tables in the database. I spent some time looking into it as I wanted to add the sqlite import into my zeo viewer. I did build it in in my latest version, but there is a bit of a problem with getting the dates to line up. I don't have a mobile system to be able to work out the timing, so I asked on the viewer thread for assistance, but no-one responed, so I assume there isn't a demand for a mobile import. I can tell you where the data is but obviously I cant tell you how to get the date right! I saw a Zeo Pro for sale. This is the one that exports to an iOS app. But the app is no longer available. 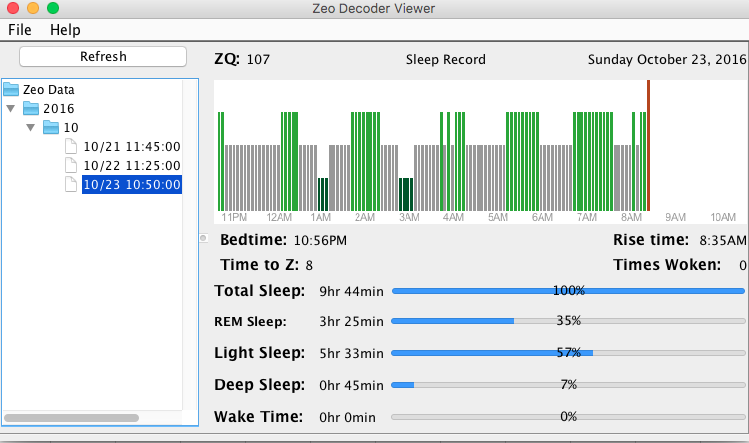 I see some solutions here to get the data from the Zeo bedside device to a viewing software. But what about the pro version that use to get data from a bluetooth connection? Are there mobile apps for this, too? I think you can download the app still, I downloaded it a couple of months ago. To put these devices to the test, I needed a gold-standard evaluation of my sleep quality. To achieve that, I underwent a true sleep study. 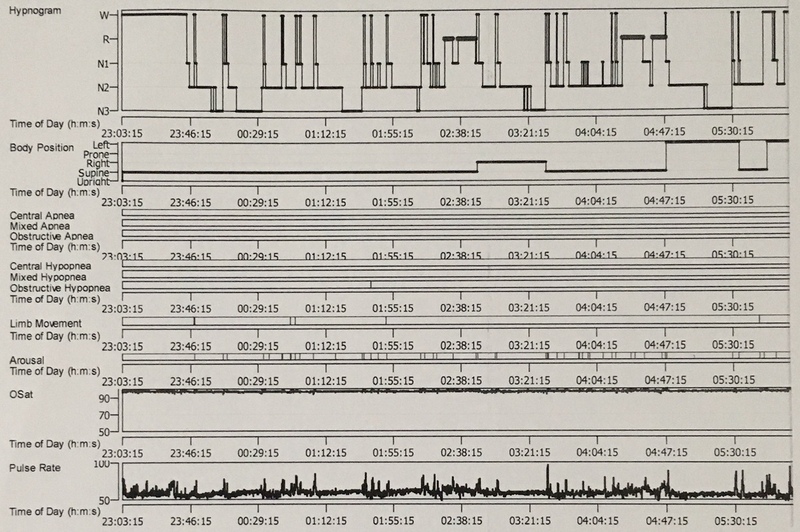 This combination of brain wave tracings, muscle-tone evaluation and eye-movement analysis, along with a live audio/video of my sleep allowed me to see exactly what was happening during my slumber. If you have a spare android phone/tablet(no matter how crappy), I'm sure people who still use the mobile pro version including myself can just upload the apk for you to install. I'm hanging on to the Zeo till something comparable or better comes to the market. 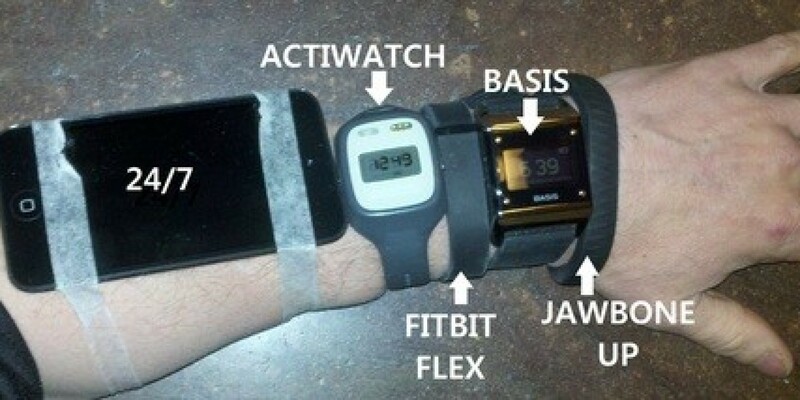 Based on my research the Basis watch is good but not quite on par with Zeo for sleep tracking. That is good to know. The only question that is still burning is if the charging station can access the headband data. Right now, I have found that the non-bedside version data is most easily collected from the SQLite database in the Android app. The data is unencrypted from what I can tell but it is not convenient to collect the data this way. Should the Zizz make it through kickstarting and then into actual production, then perhaps it will do even more than the Zeo. Once again a critical aspect will be if the tools to use it and the API will be opensource. 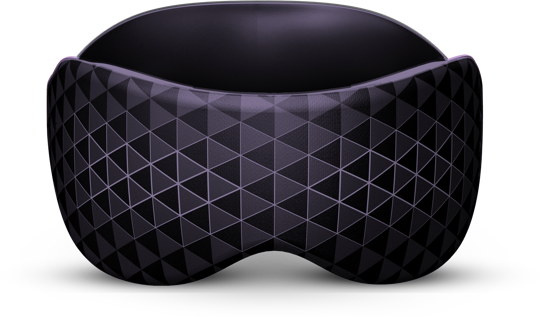 The sleep mask is now called neuro:on and they estimate shipping the first units before Christmas 2015. The price is $300 + $30 shipping. I considered doing a cut and paste of all the posts but this seems like a lot of work. I've just read through the entire thread after migrating the forum to the new platform, and I've surfaced the most important posts at the bottom of the first post. Anything else, please let me know! If you will provide an email address, I'll send it to you. I can't upload it here due to the size of the file even zipped. The Zeo clock transmitter (and presumably the mobile) works perfectly with some standard disposable ECG electrodes, designed for one use, but actually lasting at least 10 nights. There are no problems with expiry date or the time the bag is open (officially electrodes should not be used more than 30 days after the bag is opened. I am using electrodes that expired in September 2012, and have used them from a bag opened 10 months before; they worked just as well as a freshly-opened in-date pack). 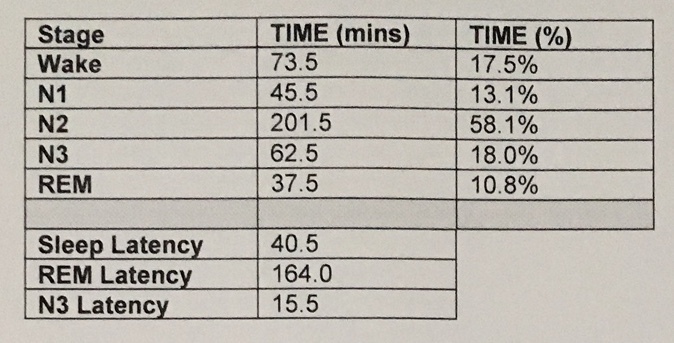 Electrodes can reliably be used for 10 days, longer with special care, so cost is not an issue (using 3 new electrodes every night costs a lot). To get more than a single night's use, surgical tape (Hypafix) and adhesive conductive gel (Tensive) must be used. It's a little messier than a headband, but easy enough. The details, which are critically important, are in the post I cite above. Genuine battery with code PP312122AB no longer available on Aliexpress. But anyone can search Aliexpress or Ebay with "302020" and will find almost same Li-po 100mah battery. Also here you can find store with custom size batteries, where different exotic sizes exists. Maximum battery size to fit Zeo Mobile is 24*21mm(standard thickness 3.1 mm). I just bought a Zeo bedside on eBay and tried it for the first time last night. I'm having some trouble getting the sleep numbers to add up / reconcile, and was hoping someone here could help. 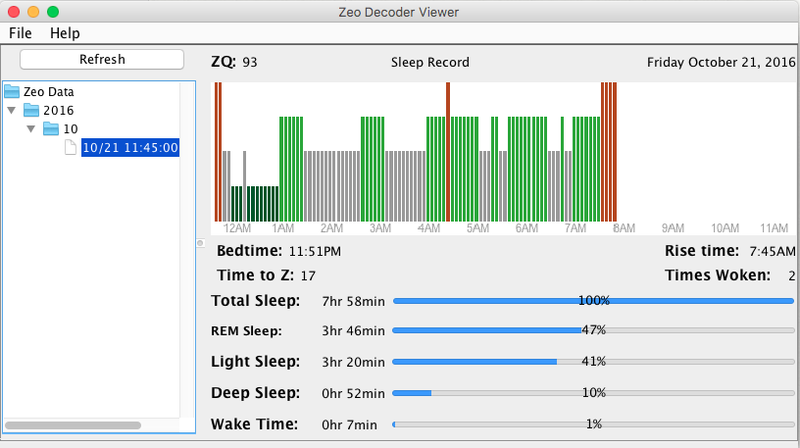 Below is a screenshot of last night's sleep from the Zeo Decoder Viewer (0.2a2Release). I've also attached the raw data at the bottom of this post in DAT and XML format. If I went to sleep at 11:51PM (Bedtime) and woke up at 7:45AM (Rise Time), the maximum possible amount of sleep would be 7hr 54min (assuming I slept the entire time). How, then, is Total Sleep 7hr 58min (4min greater than the maximum possible amount)? Further, how is Total Sleep + Wake Time = 8hr 5min? Zeo says I awoke two (2) times (Times Woken), but I only see one red bar on the graph, between 4AM and 5AM. Is it perhaps counting the time that I wake up in the morning as well (at 7:45AM), or is there some other time that I awoke during the night that's not shown on the graph? Lastly, it appears I'm getting too much REM and not enough Deep Sleep. According to the Zeo materials, the average REM Sleep for a person in his 20's, like myself, is 1hr 36min, whereas I got a whopping 3hr 46min (2.4x the average). Likewise, the average Deep Sleep is 1hr 23min, whereas I got a measly 52min (0.6x the average). Are there any recommendations for increasing Deep Sleep (even at the expense of REM)? Hi zeakian, Regarding question 3. If you look at the 21T23_51_39.xml file there is display data and base data for your sleep. The base data shows drifting between wake and rem before you got up, so that may be your additional count. The base data is finer detail (30 sec intervals) vs the display data. Regarding question 4. Many things can interfere with your getting into deep sleep. Does this pattern repeat daily? You may want to combine other data to see if you can narrow down the cause. Assuming your sleep environment is good (cool, dark, quiet, comfortable) then look for internal causes. I would consider heart rate, snoring, PulseOX, and leg movement as candidates. Have you had a formal sleep study? Thanks for your response, OP_Engr. I looked into the base data in the XML file and discovered that Zeo records two different types of deep sleep: 4 (deep), and 6 (deep_2). Is 6 (deep_2) an even deeper level of sleep? What little deep sleep I do have is almost all 4's, not 6's. And yes, this pattern seems to repeat daily, as last night I only got 47min of deep sleep (9% of total sleep). Regarding my sleep environment, I moved in with my significant other at the beginning of this year, which is around the time that I started noticing a deterioration in my sleep. I've always been an extremely light sleeper and I've never had roommates before for this very reason. When there's another person in the same room as me, even if they're completely quiet/still, it's like my body knows they're there and thus remains alert/vigilant, hindering my sleep quality. I use earplugs, white noise, and keep the room dark, but these things only help marginally. Short of moving out / sleeping in a capsule, what else can be done? Lastly, would you know the answers to my inquiries (1) and (2) from my previous post? Hi zeakian. Sorry your PSG was not more helpful. Looking at your Hypnogram you had a lot of wake states (~22) which seems to match your opinion of not sleeping well during the study. I have no reference for what a normal range is in a PSG. Your Zeo results do not show that pattern. Many things change in a lab environment when compared to your normal environment. For example it took you 40 minutes to fall asleep in the lab and only 10 minutes at home. Good news is that the PSG did not uncover more problems. Looking at the Zeo base data shows 1002 samples. At 30 sec per sample that translates into 8 hr and 21 min. Since I don't know their internal algorithm I can only guess that you took the headband off the charger and did something else for several minutes before putting it on your head (this could also be how long it took to connect). At the end of the night the headband went straight back on the charger. I realize this does not help your missing minutes problem. I would focus on the lack of deep sleep first, then when that is resolved dive into the timing problem. Also the headband impedance seems to have a lot of gaps. Do you have a new headband? Have you tried using anything to improve the headband connection? I still think personal experimentation is in order. Decide what you want to vary, keep a journal, and analyze the results. Note that what the Zeo calls "Total Sleep" does not include time-to-fall-asleep, time-awake-overnight, and any unknown time (say if the headband slipped off your head plus an interval always at the start of the "Base Hypnogram" since the "Base Hypnogram" always starts on a 15 minute interval boundary). Also note there is at least one "bug" in the Zeo Alarm display ... the "Time to Z" is in 30-second epochs, not minutes, so the 17 is 17 epochs aka 8.5 minutes. So your XML data is saying you put on the headband at 23:51:39, you took 8.5 minutes to fall asleep (aka at 00:00:09), you had REM+Light+Deep of 7h58m plus 7 minutes of wakeups totaling 8h5m, bring you to a "end_of_night" at 08:05:09 (which you can find in the XML files) when you took the headband off. Note the "Base Hypnogram" starts at 23:45:00 which is why it has a bunch of leading zeros in it before 23:51:30 is reached. The "Rise Time" shown on the Alarm clock face is perhaps misleading: that is the time at which the Alarm would attempt to wake you if you had the "SmartWake" enabled. According to the Zeo's Export Format PDF: "Rise time: The date and time the user awoke. This is computed as the time of day at the end of the last 5 minute block of sleep in the sleep graph". As you mentioned you had laid in bed for 10 minutes after waking up, and you were in REM and wake-able even before that, so the Zeo approximated that "Rise time" as 7:45 am instead of 7:55am. Regarding Deep vs Light-Deep, read the basics on Sleep Intervals: https://en.wikipedia.org/wiki/Sleep#Stages. Note the Zeo follows the current recommended stages REM (#2), NREM1=Light (#3), NREM2=Light-Deep (#6), and NREM3=Deep (#4), with Awake (#1) and Unknown (#0). In the "Display Hypnogram" which shows on the Alarm clock face, Light-Deep is just shown as Deep, and the "Display Hypnogram" will never have a 6 in it. The historical reason for this is that first versions of the Zeo Alarm could not detect NREM2, and thus all NREM2 was classified as NREM3. Later and the final version of the Zeo Alarm improved their algorithms such that they could detect NREM2 vs NREM3, so they added NREM2 kind of as a kludge (hence the digit 6 and the Deep sum still including NREM2). Thanks guys, very helpful. Thanks to the Zeo data, I know my main objective should be to increase deep sleep. Last night I slept an additional 2 hours than previous nights, for a total of 10 hours. Yet my deep sleep remained relatively constant at ~45min (see hypnogram below). Generally speaking, upon waking, I don't feel refreshed, and my hypothesis is lack of deep sleep is the reason. I will try some experiments and report back. As it relates to the headband impedance, I bought the unit new (in an open box) on eBay last week. The headband+sensor were sealed in a foil pouch and appear brand new. However, I'm sure the box has been sitting around for several years, so perhaps the sensor has somewhat degraded. In fact, the elastic headband itself was already deteriorating/decaying when I opened the foil pouch, so I had to fashion a makeshift headband out of some spare elastic I had laying around. I've wiped down the sensors with an alcohol wipe before initially using it, and ensured that the headband is sufficiently tight (I have an indent on my forehead in the morning from where the sensor was), but is there anything else I can/should do to improve the impedance?